I just love this first sneak peek photo! It’s been almost a year since I photographed this cutie pie’s newborn session and now she’s REALLY enjoying her first birthday cake!! Look at how into it she was! 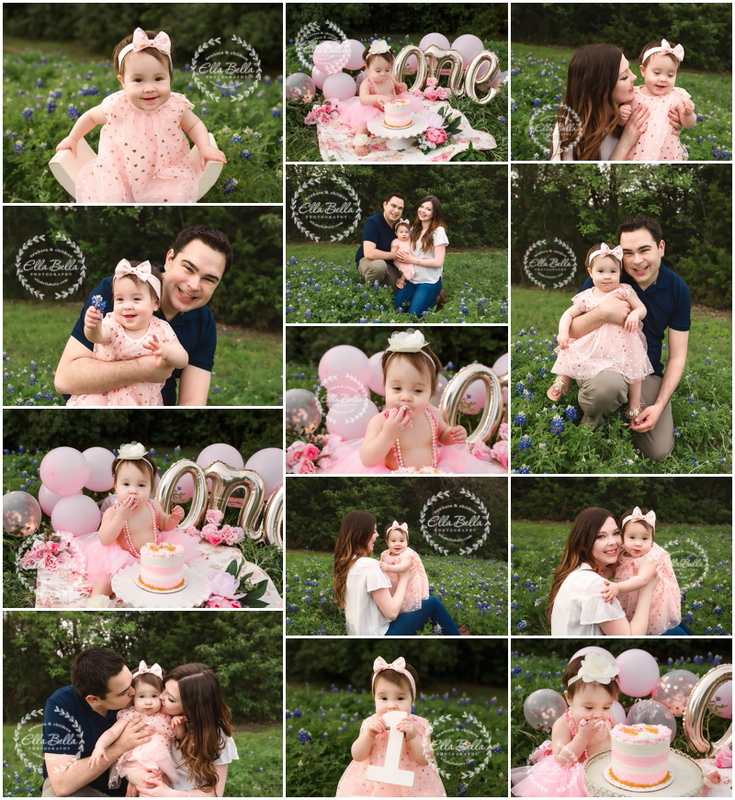 lol The bluebonnets made the perfect backdrop for her outdoor one year mini session! I hope you enjoy the sneak peeks!! This amazing family just welcomed their 7th baby into the family, officially making them the largest family I have photographed in a newborn session! Their children are all so adorable and so well behaved!! Their new baby sister is so gorgeous and slept like a dream! 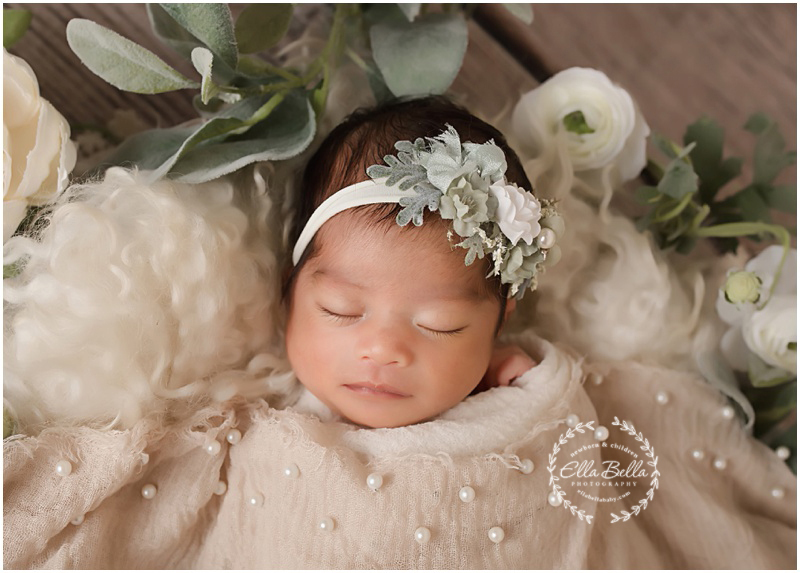 Lots of sneak peeks to share of her newborn photos! Enjoy!! I loved meeting this adorable family and photographing their newest baby girl! Both girls are so GORGEOUS! Tons of sneak peeks to share from their newborn session this past week! I hope you enjoy!! This sweet baby boy is soooo adorable! For being mostly awake, he was such a calm little guy! His deep blue eyes coordinate perfectly with the navy backdrop and wrap we used in his newborn session. His big sister is just soooo cute too! She is like a little mama and has a baby doll of her own that she wanted in a few photos. Heart melt!! 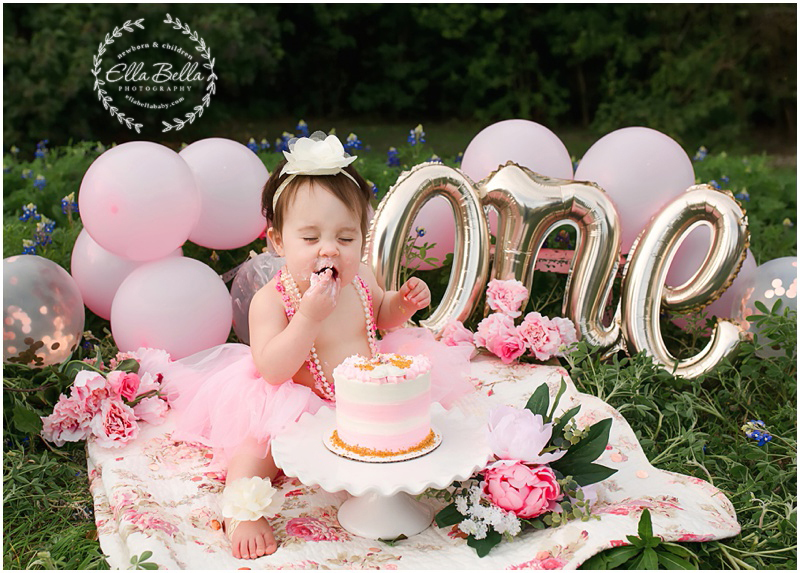 It’s hard to believe it’s been a year since I photographed this cutie’s newborn session and here she is already celebrating her first birthday complete with an adorable pink and gold themed cake smash! This was my first time making a balloon garland and I’m obsessed!!! Lots of adorable sneak peeks to share!! Oh my goodness, these siblings absolutely made my heart MELT with how sweet and gentle and loving they were with their new baby sister during the sibling photos! Loved every minute of this adorable baby girl’s newborn session!! Lots of sneak peeks to share too! !